Fat rockered (early rise), bamboo skis that rock the whole mountain. Natures carbon fiber is light, strong and flexible. The Ullrs turn like short skis on the groomers and in the trees but float like big skis in the powder. A new shape that really works. The early rise levels out the snow in front of you making it feel like its untracked and shovels amazingly in the powder. No need to lean back on these babies. Four sizes 160cm, 170cm, 180cm and 190cm. 112mm under foot. Five dimension side cut, 122-134-112-129-118. A turning radius of only 14.4 meters. They come with a notch in tail for skins and an optional hole in the tip if you need to make a toboggan out of them. Unbreakabe as nobody has broken one yet. Graphics are a young version of Ullr (the god of snow) summoning the clouds to snow. Or we have local artists ready to make a unique ski just for you. Check out the testimonials of skiers who have them and Order yours today. Designer direct saves money. I am President of Morningstar Ski Tours. 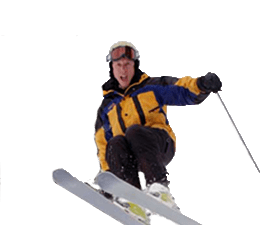 We have been doing group ski tours for over thirty years and I have skied all over the world on said tours. 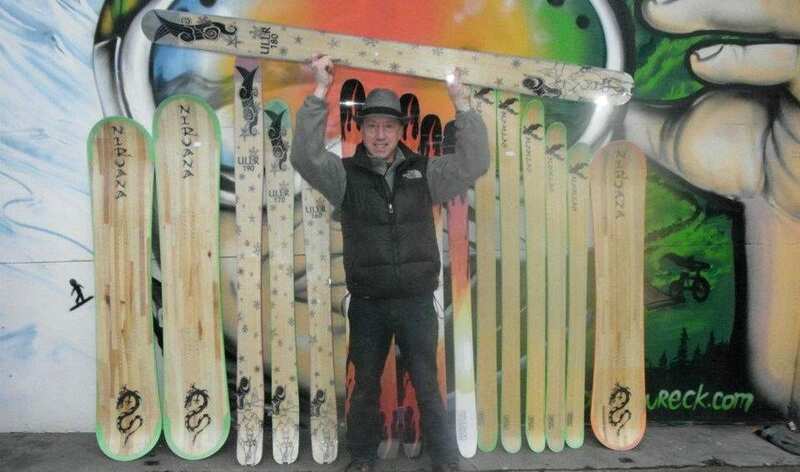 I have been skiing on Boomtown Sports skis for over 14 years now. 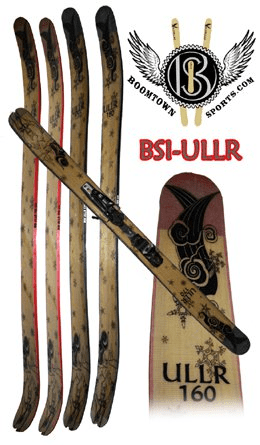 Dale’s Ullr reverse-camber rockers and the BEST ski I have ever skied! My Ullrs and I have skied the backcountry and resorts in every kind of conditions and they rock. The bamboo is very tough and the skis are indestructible. I am about to start season 5 on my original pair! The lightness of the ski is what makes it stand out above any other ski I have seen. Lightness equals quick turns and less fatigue at the end of the day. The skis are made for the Pow and you literally cannot sink the tips, no matter how deep the snow. Surprisingly, the Ullrs are the most fun bump ski I have skied as well. The rocked geometry of the ski makes for a short turning radius. If you are a good bumper, you will rip mogul lines effortlessly, which is amazing for a ski designed for powder. In short, I love my Ullrs and I have turned on many of my skier clients to them as well.